Don't forget the Bonham Chamber Network Night on April 13, 2017 from 5 - 7 pm at the Holiday Inn Express in Bonham. Great Food and wine samples from local wineries will be available for all. Sip on wine from our local wineries. Sample tasty finger foods. Simply have a good time. All while reaping the benefits that networking brings. Everyone is invited to attend. Work doesn't always have to feel like work! 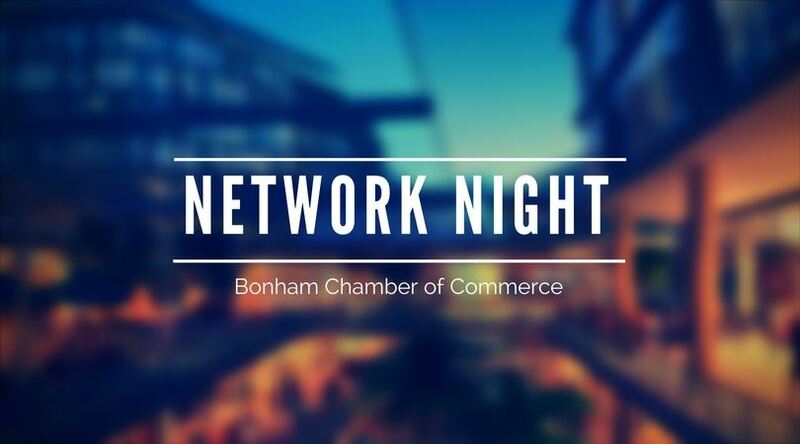 At the Bonham Chamber Network Night it will feel like a casual conversation over a smooth beverage.